I don't remember the first cup of coffee that ever crossed my lips. But I do remember when coffee first became "a thing" for me, something I craved and wanted to drink up. Simply put: It was all about Coffee & Conversation, and the two went hand-in-hand. Everything came together at a local open-all-night diner dubbed Linda's Place, in my hometown of St. Clair Shores. That was the spot that became a second home of sorts back in the mid-90s, especially during my latter years of high school. A good friend and I would make a plan to go there at all hours -- whether it was in the not-so-late evening hours, the after-midnight hours when our writing pens would magically come alive, or even during the morning or afternoon hours when we were supposed to be stationed at school. Sure, I may have tried coffee before then and tasted it every so often, but never did I enjoy it the way that I started to in high school. Coffee was an acquired love, one more about the experience than just the java itself. 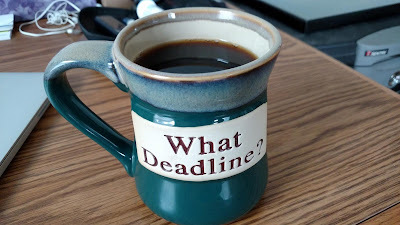 That was also about the time that my creative writing and poetry started evolving into newspapering, and so the whole "coffee and journalism" pairing couldn't have been more perfect. 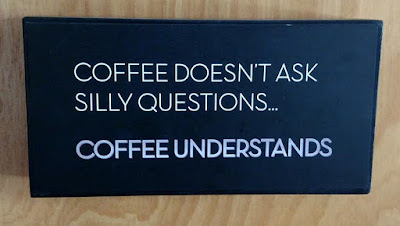 Really, it was just that coffee made all the conversation better. Those were the years when we found ourselves sitting in The Corner Booth, talking about life and politics and all things possible. We wrote spontaneous poetry and prose on white napkins. We shared stories about hopes and dreams, plans and fears and all that you do when you're teenagers. We learned who we were, and the coffee just made it seem more "grown up" and real. Coffee & Conversation is the way it's supposed to be. You can probably tell that all means something to me, given that it's in the name of this blog and you can see that story in the "Why the Corner Booth?" tab. 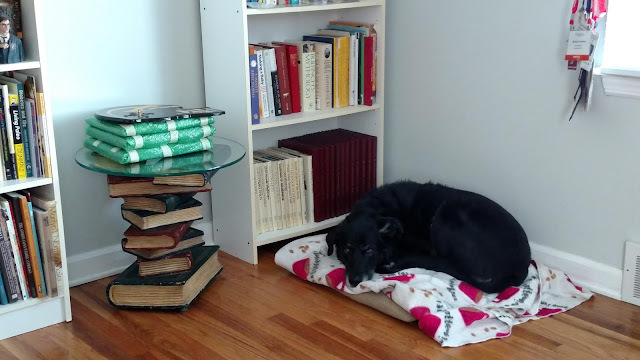 And hell, my image at the top has a coffee mug in it... not to mention my home office, that has a sign on the door that says "Coffee Understands" and in the corner my Riley Dog has a pillow and blanket with coffee mugs all over it. And in the diabetes context, I've even gone about a so-called Great Coffee Experiment to explore how it impacts my blood sugar. Yep, coffee is important to me. Coffee & Conversation is the way it's supposed to be, and for me it all began with that corner booth in the Shores and stretching to most of the places I've worked in ever since. Of course, I remember when we weren't in that corner booth, but settling for a cup of joe in some other location -- a home, classroom (yes, it happened), actual coffee shop, or just out on-the-go. There was even another Linda's Place on the opposite end of town that we'd gone to a number of times. In particular, that above-mentioned friend's house was one of those spots that stands out, these days specifically. You see, her mom was one of those people you could lose yourself in conversation with. She was witty, funny, a natural smartass but someone who loved a good chat. And the coffee that went along with it. Here's where I make an important point: She taught me it was OK to drink black coffee. Before then, I didn't know anyone else who drank their coffee straight up. Most coffee-drinkers in my world at that point added something to their java -- cream, milk, sugar, sweetener. Even her daughter, my good friend, did this coffee pollution. And so it always amazed me to think about how great it was to see Judi taking her coffee the way it's supposed to be. I owe a lot of that to my friend Kari and her mom, Judi. Even if I didn't know it back then. This all comes to mind recently, as the world just lost this woman who was such a beacon of hope and goodness for so many. Seriously, coffee aside -- you want to read a good story, read up on Judi Navarra. She made a difference in lives, and was someone we should all strive to be. All of this has made me think about my formative years of coffee, right here in my hometown of St. Clair Shores, Michigan. That time in my life taught me to appreciate how much I love the pairing of coffee and conversation, that mixture of smooth dark roasted coffee with an aroma that could make your sleepy eyes want to be awake for some conversation. It meant sophistication, intelligence, depth and all those things you look for when you're a teenager. Into the college and adult years, coffee became more of a way to stay awake and get a boost of energy when needed for whatever task was ahead. and want to be able to start drinking and appreciating my coffee right away, especially when there's conversation to be had or work to be done. So, you might even see me toss an ice cube or two into it... just to get it to that perfect temp. I'm also sure that my type 1 played into my dislike of adding any creamer or sweetener to my coffee, since from the time I was a young kid sugary or sweet-tasting drinks were never in my wheelhouse. I just liked it the way it came, and the stronger the better. 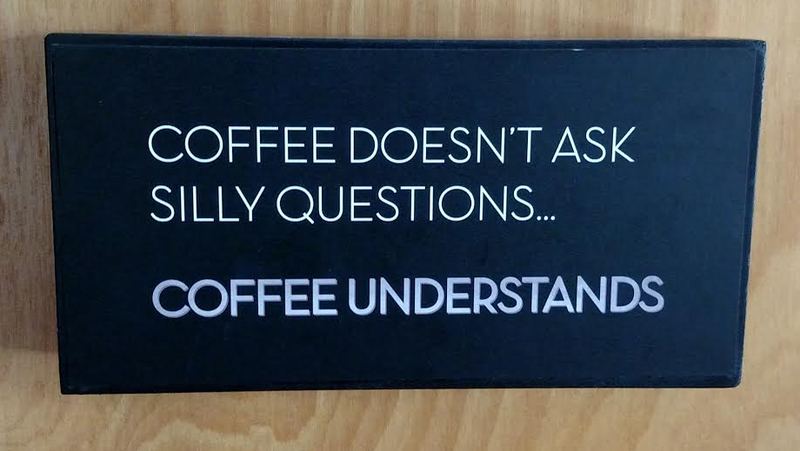 For me, coffee is just a standard. And it's not even just about what it's in the cup, but the people you're sharing that coffee with. So, I raise a cup of black coffee to those in my world who have come and gone, who have been a part of one conversation or another. And to all those who come to the proverbial corner booth down the road. Here's to continuing the coffee & conversation.